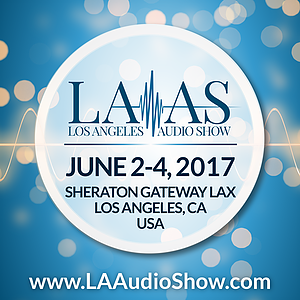 HFS will have two great rooms at 2017’s Los Angeles Audio Show. In 308 we’ll feature the North American active debut of the NEAT Acoustics Ultimatum XLS loudspeaker. DEBUT?! 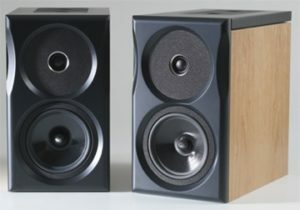 Well, yes, the XLS has been shown before in a passive display manner, and it is not a brand new speaker design from NEAT. One of NEAT’s charms is they DO NOT change their product every two years to “encourage” new sales. 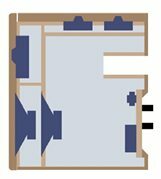 Anyhow, that said, the XLS being the only active speaker in the room will give it a chance to show its many hidden talents (5 drivers are housed in that compact cabinet). 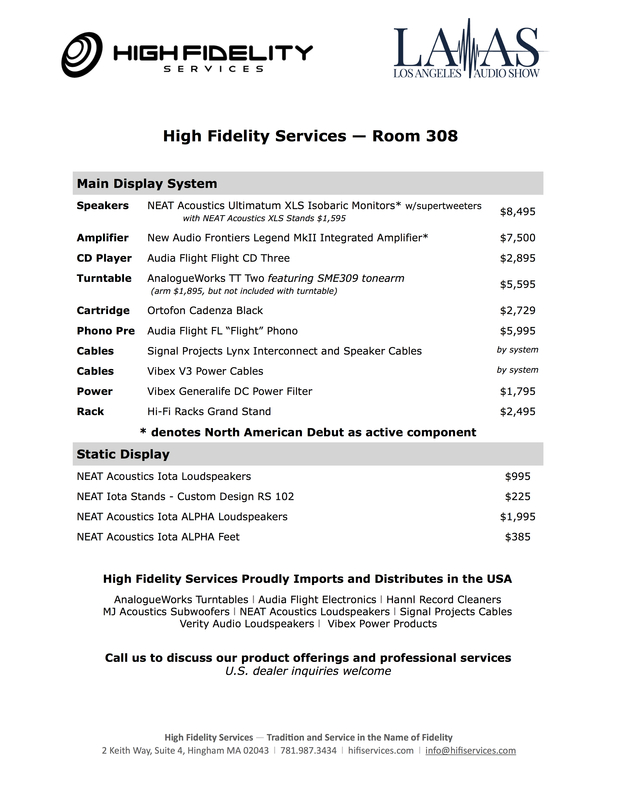 We’ll also be bringing back a classic in Mr. Doug Graham, the International Sales Manager for NEAT Acoustics. Some of you may know Doug from his many years with Naim Audio. Doug is kindly making a long to trip from the UK to say hello and present his favorite speaker brand. In addition to the NEAT Ultimatum XLS speakers, we’ll feature the AnalogueWorks TT2 with an SME 309 tonearm and a tasty Ortofon Cadenza Black MC cartridge mated to an Audia Flight FLS “Flight Phono” pre. 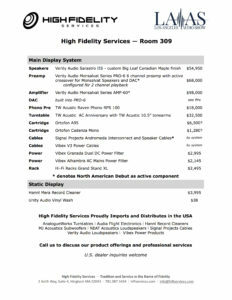 Signal Projets Ltd. Lynx cables and Vibex power conditioning will bring this system up yet another notch. Com check it out! 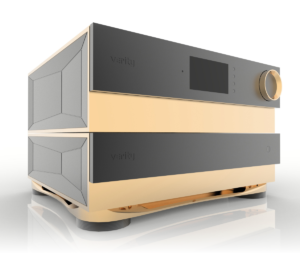 Meanwhile, in room 309 we’ll be making a splash with the North American debut of the brand new Verity Audio Monsalvat Series electronics. Two of Verity’s engineers Julien and Maxime are making the trip from Quebec City to LA and will be on active duty in the room. The Monsalvat AMP-60 will be fed by their PRO-6 preamp with its built in DAC doing all the conversion work. The PRO-6 is purposedly designed to be the active 6 channel crossover for their Verity Audio Monsalvat System, but in this room it’ll be forced to work as merely a “statement ” 2 channel preamp and DAC. 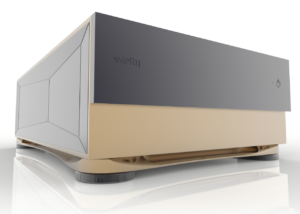 The crossover, instead, work will be done by the incredible Verity Audio eXR Sarastro IIS loudspeakers. 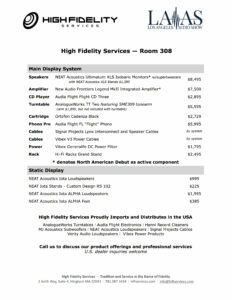 Additionally, you’ll have another chance to hear what the Signal Projects Ltd. Andromeda cables can do and see how intricately and elegantly they are constructed, while the power will be conditioned by the unique designs of Cliff Ormand and his Vibex products. Come on down and request a song!